A fresh and innovative way of thinking about accountability and transparency in local governance. What would happen if a public servant reported to work each day with the invigorating goal of solving problems, rather than first and foremost adhering to rules and protocol? What if City Hall expanded its “distribution channels” and reach to work more closely with third parties, leveraging the skill sets of universities and the expertise of the private sector to achieve fresh goals for its citizens? Through mobile tools, well-visualized open data, and social platforms, citizens can broadly participate with their city. By analyzing this data, the city can act more quickly, recognizing and regulating risk in a more efficient manner, and creating space and time to make improvements in other areas. Reorganizing government to inspire workers to improve programs and services and to partner with outside forces will be better served by a top-down willingness to embrace ingenuity and change. A government that relies on open data in a distributed system—as described by former Indianapolis mayor Stephen Goldsmith and Neil Kleiman, clinical professor of urban planning and public service, in their book, A New City O/S: The Power of Open, Collaborative, and Distributed Governance—gives city employees more access to information relevant to them so that they can feel empowered to use discretion, authority, and creativity. A new operating system that’s based in open data and distributive governance also allows governments to form relationships outside of City Hall that will expand its capabilities and knowledge base. These methods have the potential to be revolutionary for cities as large as Los Angeles and as small as South Bend, Indiana. The skyline of downtown Los Angeles. Photo by Shutterstock. 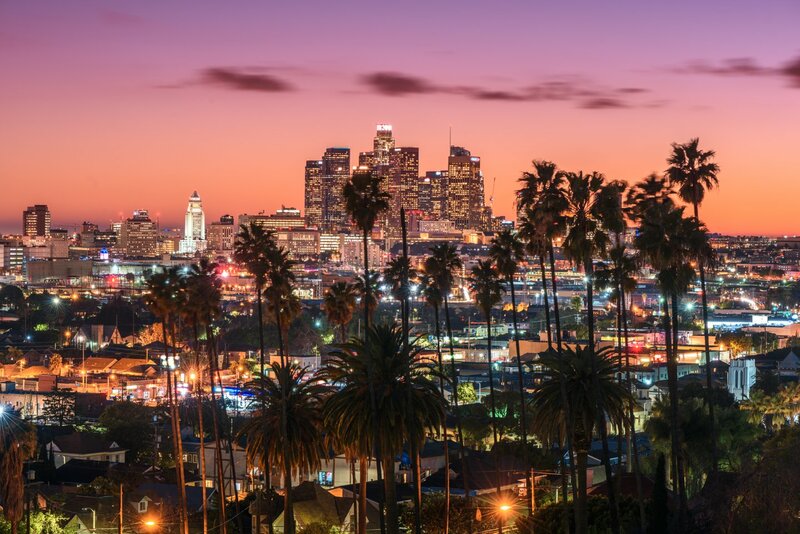 Los Angeles is one of the American cities that’s leading open data innovation. Its GeoHub is the perfect example of what Goldsmith and Kleiman would call a “socio-technical ecosystem,” a platform that fosters cross-organizational relationships and data-sharing. Essentially, the GeoHub is an open data portal that the city created with the help of Esri to allow anyone to explore, visualize, and download location-based data across 20 city departments, from locations of safe havens for infants to trailheads throughout the greater Los Angeles area. While it’s publicly available to citizens, the GeoHub also provides city employees with specific capabilities; it’s a manifestation of a fresh culture that fosters cross-departmental exchange and partnership. Data is no longer isolated and difficult to access, but it is centrally managed by set rules of engagement. This means that if, for example, a social worker at a juvenile detention facility wanted to ensure her team had access to data about transit schedules and locations, she’d have a much easier time seeing all of the relevant information in one place. Amanda Daflos, director of Mayor Garcetti’s innovation team, is driving transformative digital strategy in LA. “The way I’ve structured this team is through the idea that we have a cross-disciplinary group of people that can all work together to solve problems,” said Daflos. “Those cross-disciplinary skills include project management, [which means incorporating] people who are really trained in creating projects, in delivering projects, in reporting on results. We have a human-centered designer, too. It’s really nice to bring the best of every skill set together to tackle one project.” Daflos said that her team creates projects that will move the needle, with the idea that policy reforms will follow. Harnessing the power and potential of governance. Photo by Shutterstock. These questions became the cornerstone for the work the innovation team engages in. In the case of police hiring, they decided to go through the process as a user. “If we want [qualified] candidates to go through the process, we should probably know what they’re experiencing,” said Daflos. Based on this intel, one of the improvements that the city has made to the process has been to allow candidates to schedule appointments like their physical or polygraph testing through text message. 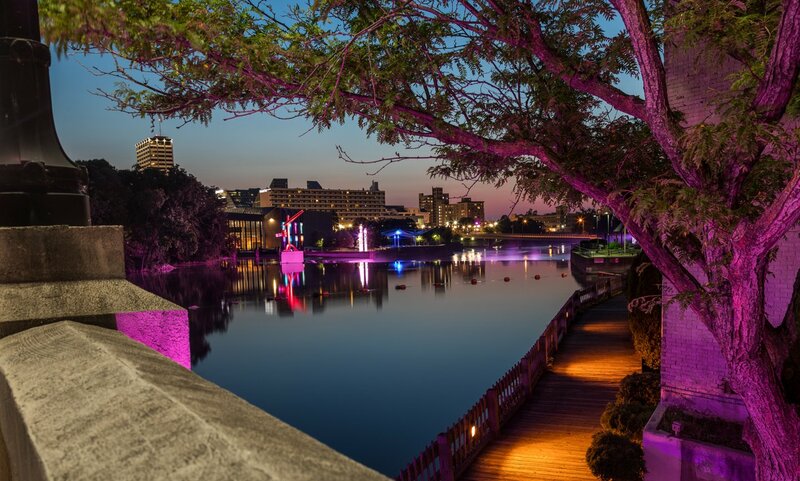 Sunset in South Bend, Indiana. Photo by Shutterstock. In a distributed governance, the city’s role pivots from owning data to gathering, curating, and coding it. More data means more capabilities, so City Hall should be looking at creating highly coordinated relationships with third parties like communities, universities, nonprofit foundations, and the private sector. From a tech company’s Internet of Things sensors to citizen input via smartphones and 311 centers, in an open city, there are almost endless ways to add to the collective data set for the greater good. South Bend was experiencing a serious economic downtown when Mayor Pete Buttigieg entered the office in 2012. Brain drain and an aging population, among other issues, spelled trouble for the city. “We knew right off the bat that it was going to take a while to build up the in-house capabilities that we really needed, and so partnerships were going to be really important from the outset,” said Buttigieg. Fast forward six years, and those partnerships have manifested in a sort of university ecosystem that both provided the necessary innovation to solve city problems and the incentive for young tech talent to stick around. The city recruited Santiago Garces as a fellow, as well as a team of other recent graduates of Notre Dame’s ESTEEM program, a Master’s in tech entrepreneurship. Garces eventually became the city’s first chief innovation officer. 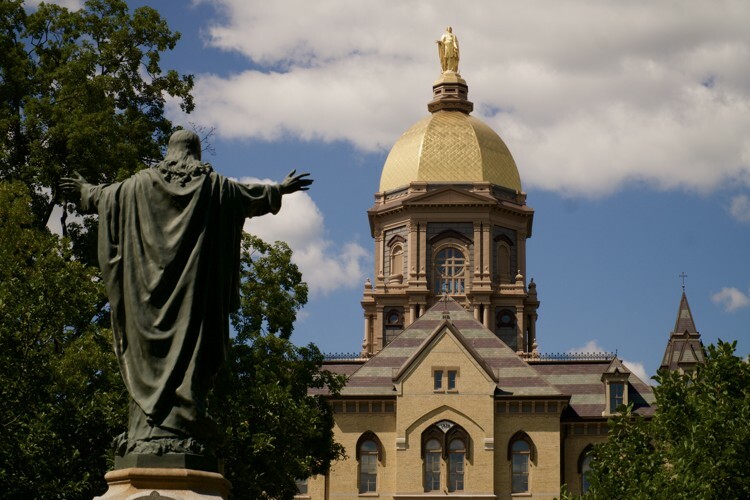 Collaborative solutions with the University of Notre Dame. Photo by Shutterstock. After conducting conversations with residents, the city identified two main problems that the new innovation team could address. The first was the environmental issue of stormwater management and relieving the stress on the combined sewer system. The second problem was the 1,000 vacant and abandoned lots throughout the city after the housing crisis. Garces said that they embedded students from the Society of Women Engineers tech team at Notre Dame in with the southeast neighborhoods, teaching residents how to use geographic information systems (GIS), data analytics, and human-centered design as tools to determine possible behavioral interventions. The Notre Dame volunteers found that they were able to kill two birds with one stone, converting the vacant lots into rain gardens that would both beautify the city and help with stormwater management. The innovation team created a vacant lot algorithm and partnered with the Bowman Creek Educational Ecosystem to install the rain gardens. “The hallmark of distributed governance is openness that supports deep and real communication, coordination, and connections across City Hall and a broad range of third parties, including residents, contractors, community organizations, local institutions, and nonprofit and for-profit organizations,” write Goldsmith and Kleiman. With the new city O/S, the city serves as a hub. Gone are the tight rules, strict control of information, and discretion that hinder innovation and collaboration, replaced instead with the data-informed city employees and openly cooperative organizations that work together to create a city that works with, and for, the citizen.